Yes, yes your read it correct, the recipe is of Tandoori roti without any kind of Tandoor. Once during her visit to us in Hyderabad, hubby’s bua told me that she would make Tandoori rotis for us. I got worried and told her that we didn’t have any kind of tandoor. She said she would manage, and manage she did!!!! She actually made tandoori roti using my pressure cooker!!!! after learning the trick i tried making these rotis on Tava and they came out perfect, so i now use tava to make the tandoori roti!!! And every time i make Malai Kofta or Shaahi Paneer or Daal Makhni, i end up making these tandoori rotis. 3) Roll oval shaped (just for effect, in any shape they will taste equally good 🙂 ) rotis using as little flour as possible. 5) Now take roti in one hand and shift it to the other hand with little pressure. keep flipping between hands for 4-5 times. 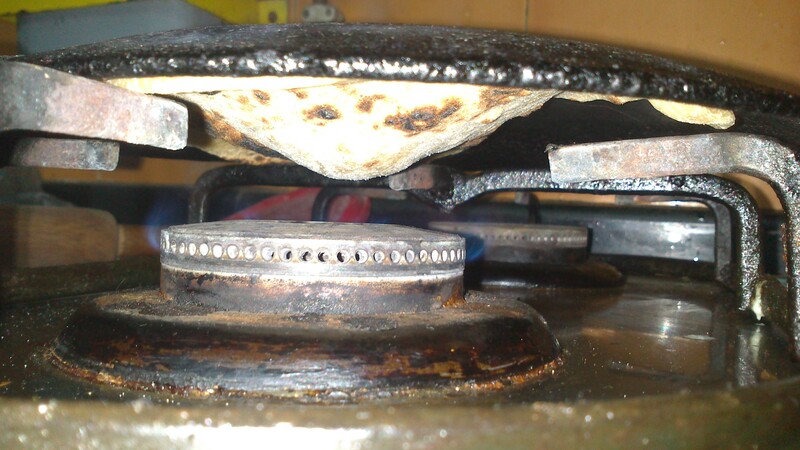 8) Cook the roti properly and then flip the tawa to get it back to it’s normal position. 1) To ensure that the roti sticks to the tawa, you have to ensure that the tawa is not greasy and the roti has water applied to it everywhere. 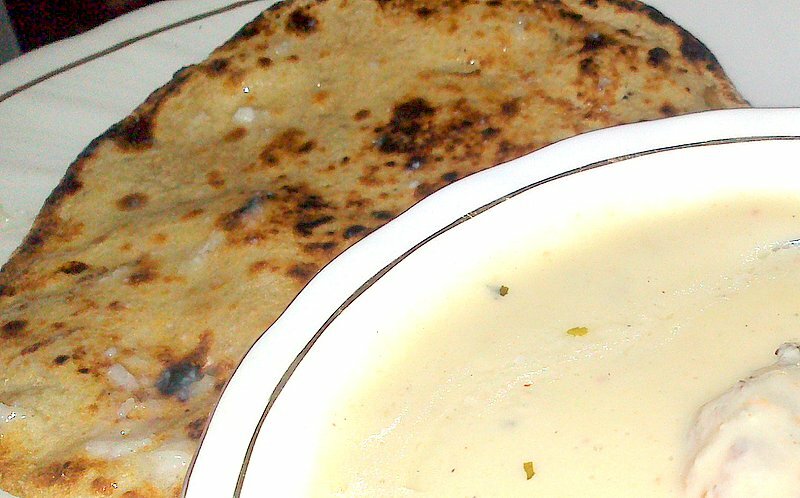 2) While making them in cooker, be careful as sticking the rotis in can be a little tricky part and you may even burn a finger or two.You can use cooker, if you want to make 2-3 rotis at a time, for single roti at a time, i would recommend using tawa. wow! well explained again. 🙂 ghar par try krna pdega ye toh mummy ko ya mujhe! Try it out. Once you get the hang of it, it's pretty easy!!! Let me one if you need help.